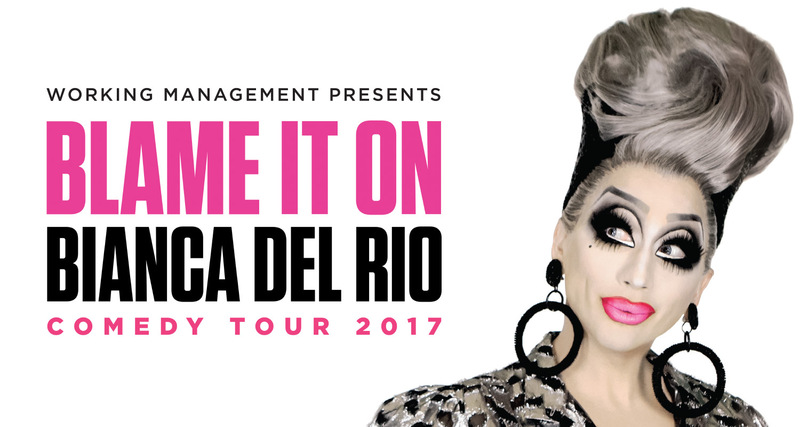 Theta Project are thrilled to be working for Working Management to bring Bianca Del Rio to Auckland. After two consecutive sell-out tours in Australia and sold out shows worldwide, Bianca Del Rio brings her brand-new comedy show to Auckland in November 2017 for a one night only show. New Zealand for the first time. “G’day Kiwis! I hope you’re ready for some filthy, nasty, hateful humor because I’m coming down under with a brand-new comedy show. I can’t wait to share my hate with all down under, so get your cocktails ready for a fun night”. Don’t miss your chance to see the ‘Joan Rivers of the drag world’ (New York Times) in her fiercely funny new show this November. Purchase a VIP ticket and receive seating in the first few rows, a meet and greet with Bianca and a signed Blame It On Bianca Del Rio tour poster. Win a Meet & Greet upgrade! If you purchased tickets before October 11, you could win 1 of 2 double upgrades.